When you are picking nettles for cooking, choose the young and tender leaves, usually the top four or six on a plant. Use scissors to cut the tip so you don’t damage the plant. Nettles are delicious – but most first-time nettle eaters are nervous about being stung. 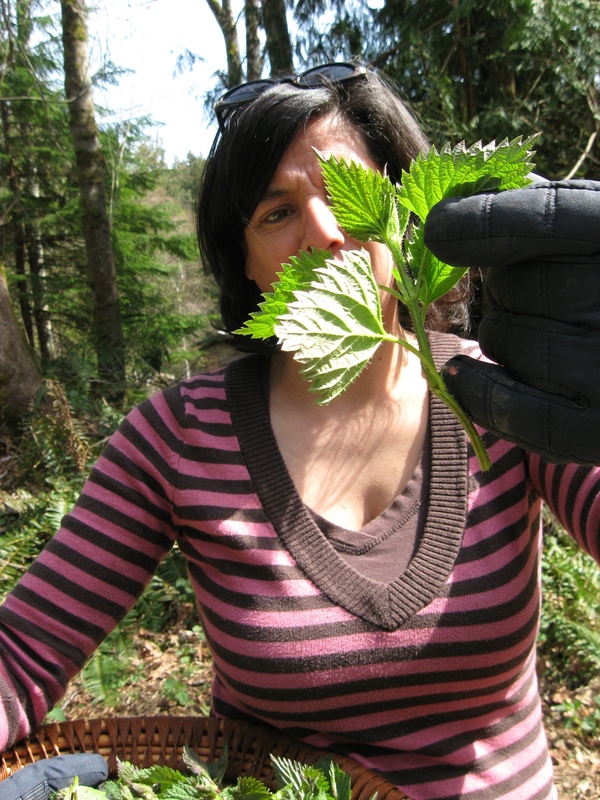 Use kitchen or garden gloves when you are picking and in the kitchen until the nettles are processed in some way. Once the fresh nettles are steamed, frozen, dried or cooked the sting is neutralized. 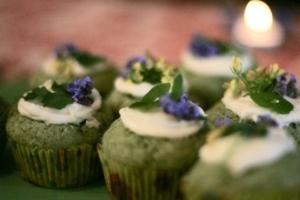 There are lots of different ways to use nettles. After watching the entries for the cooking competition over the last few years I’ve learned that there’s nothing you can’t do with nettles, from scrambled eggs to ice cream! My personal favourites are nettle pizza and a nettle pakora. 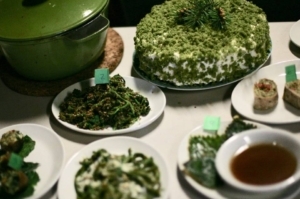 This year, the Galiano Community Food Program’s 11th Annual Nettlefest runs April 6th to 8th. 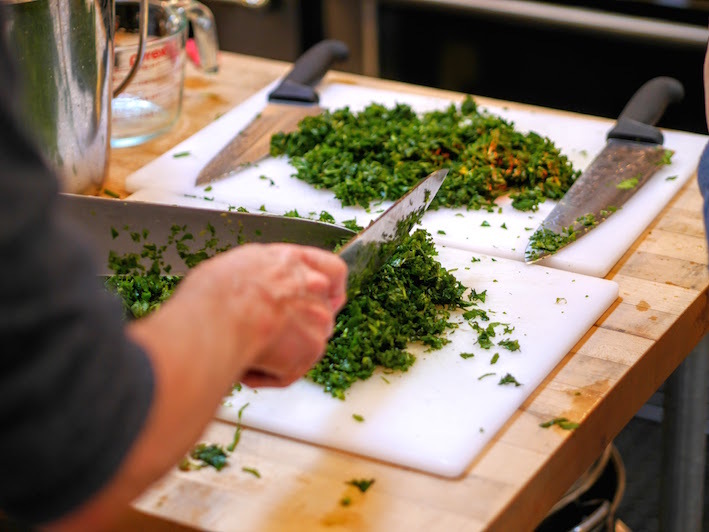 There will be a cooking class on Friday night, a foraging walk on Saturday morning, the community nettle pick on Saturday afternoon, and of course the community potluck on the Sunday evening, with the increasingly popular nettle cooking competition. Check the website for all the details. There’s lots to do, lots of ways to volunteer and get involved. Come celebrate spring on Galiano. 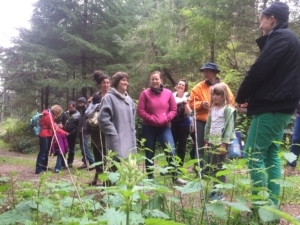 This year, the Galiano Community Food Program’s 10th Annual Nettlefest runs April 6th to 8th. 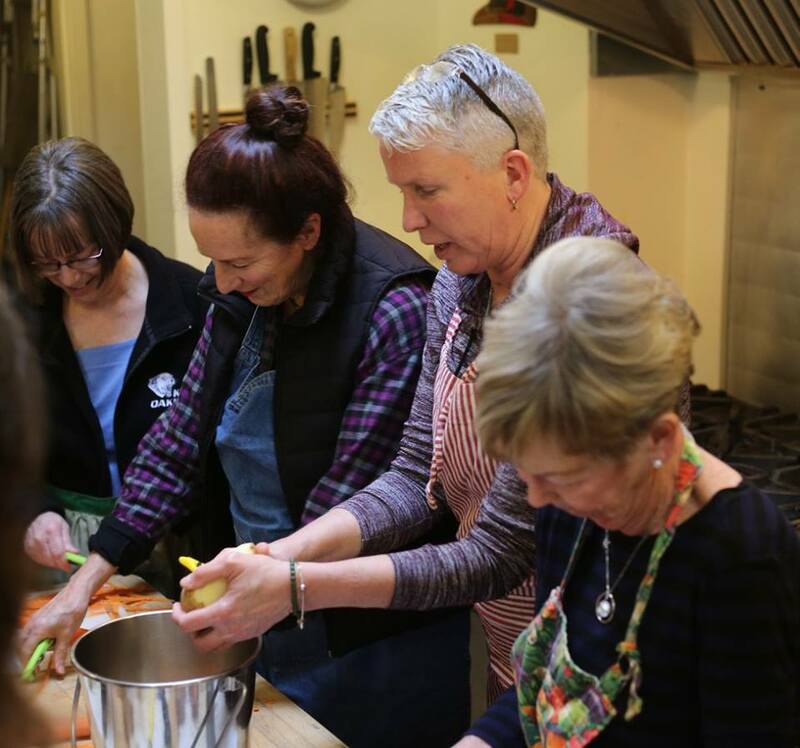 There will be a cooking class on Friday night, a foraging walk on Saturday morning, the community nettle pick on Saturday afternoon, and of course the community potluck on the Sunday evening, with the increasingly popular nettle cooking competition. Check the website for all the details. There’s lots to do, lots of ways to volunteer and get involved. Come celebrate spring on Galiano.